Since the advent of Gutenberg’s printing press, a lot of books have been published on “parenting”. Sometimes feeding the little ones can be a difficult task. We’ve got four delicious recipes tested on even the pickiest of eaters. Speak to your infant’s pediatrician prior to starting solids as it may be advised to start closer to 6 months. 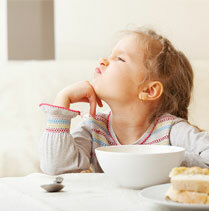 It is not uncommon for children between the ages of one and three to become iron deficient.